The number one cause of foundation damage and flooding basements is poor drainage. In most instances where water is getting inside a basement or crawlspace we can stop the water by correcting drainage and grade. One season of overflowing gutters and downspouts not draining properly can do tens of thousands in structural damage. In order to maintain a healthy environment and keep your home on a solid foundation the best thing you can do is stay diligent in maintaining the exterior drainage of your home. Burying your gutters and sump pump drains so that they discharge away from your home can move thousands of gallons of water away from your foundation every time it rains. Basin drains can collect water in areas where water pools, such as landscape beds and places that are trapped between concrete and structures. Foundation 1 has designed and installed drainage systems on thousands of homes and businesses. French drains are also saturation drains and are commonly used to absorb water from the subsoil allowing for faster drying cycles, keeping the soil more absorbent for the next rain. French drains are often misused as a “fix all” and are often installed incorrectly, causing more problems for the property owner. Our Curtain Drain is most suitable for the collection of water along a foundation or patio when it is not possible to create a grade that flows away from the structure. 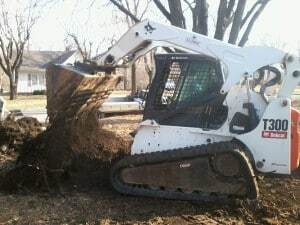 Correcting the soil around your home may be as simple as adding a few yards of clean top soil to build up the existing grade or be more complex like cutting out the existing soil in order to create proper fall and keep water flowing away from a structure. Many times cutting a swale is the easiest and most economical way of controlling surface water, by changing the grade around a structure we can control how the water will flow in or around your property. The average home will need to have some sort of grade correction every six years as part of its normal maintenance. Is my home’s grade really that important? Yes it is! So much so that international building code calls for a 6” drop in the first 10 feet away from the home. Fixing grade is not fun, but something homeowners can easily do. Spending a few dollars (or hours) in this aspect can save thousands of dollars on expensive foundation repairs down the road. How often should I monitor and maintain my grade? You should look at it closely at least once per year. Dirt around your foundation can, and often does settle. So you can be fine one year and have big problems the next year. In fact, we suggest you have the grade professionally altered about every five years. Foundation 1 can help with this service. How important is a properly functioning gutter system? It is huge. During heavy rains, your roof can collect hundreds of gallons of water. Without proper guttering – and drainage away from your home, that water can be deposited right at the base of your foundation. This leads to additional expansion and contraction of the soils around the home, and can lead to inward pressure on the foundation walls and foundation settling. Water is your foundation’s enemy. You want the water to have a pathway to get AWAY from your foundation. So this thing with cleaning leaves out of the gutter is important too? Absolutely. A perfectly designed guttering system can be completely ruined if it is full of leaves. This highlights the importance of cleaning the gutters and/ or having a system to keep the gutters clear. During rains, you should be able to watch the water flowing through your guttering and drainage systems and going where it is supposed to go (and you should know this so you can monitor it). If you see water spilling over the gutters and/or just rolling off the roof, you can be certain this will create much larger problems that cleaning, maintaining, or fixing your guttering systems and/or drainage. My neighbor’s drainage systems pour right onto my property. Is this a big deal? It certainly can be. Unfortunately, in this case, they are simply shifting their problem over to you. We have seen many instances where this has created significant damage and required significant repairs. The best thing is to try to work with your neighbor to ensure they (and you) implement a system which addresses your water challenges, but theirs also. This can be delicate, but it is better to work together and address it directly. How far out from my home should I make sure the water goes? We always suggest at least 10 feet. The simple bases to put at the base of your gutter downspouts is not sufficient. What is a Curtain Drain? Curtain Drain is designed to help divert water. Typically, it will involve digging a trench with the specific goal of moving water from one part of your yard to another. A waterproof liner is put inside the trench, along with a perforated pipe which will help collect the water and transport it. The trench is then filled with gravel so the surface water can reach the pipe. My window wells tend to leak. 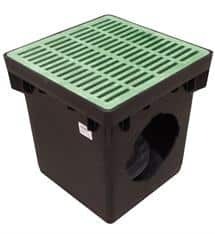 Is there something I can do with a drainage solution? There is. We can install a drain into the window well. There are 2 possible places to take this drain. One is to connect the drain into our Interior DuraDry drainage system and then connect to a sump pump. 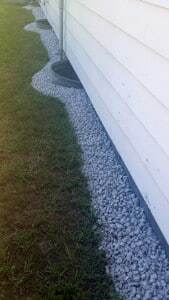 While that option is most ideal, we can also connect a window well drain to and external “drain to daylight” solution. The goal there is to collect the window well water and divert the water at least 10 feet away from the home’s foundation, hopefully to negative grade away from the home.